With the shutdown in its 24th day, Ronn talked with U.S. 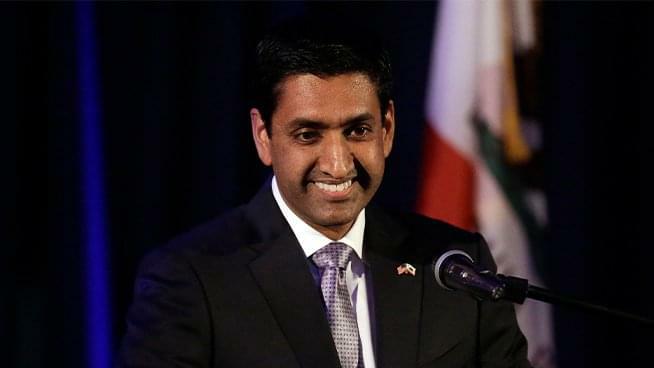 Congressman Ro Khanna, who represents Silicon Valley. Like most people in the Bay Area, he looks at this standoff as pure politics, pushing for something that won’t do much for lowering illegal immigration. Instead, it is purely designed to solidify his base. Interestingly, it doesn’t seem to be working. Even the conservative Republican-leaning Rassmussen Report now shows the President with his lowest approval record yet, with 55 percent giving thumbs down to his performance. Ro and Ronn also talked about removing troops from Syria and his bill with Bernie Sanders confronting the “Pharma Greed” that is literally killing people.